In the June 2015 issue of the JCI, Abravanel et al. explore the role of Notch signaling in breast cancer recurrence and dormancy. The authors found that inhibitors targeting the oncogenic HER2/neu receptor led to upregulated Notch signaling in breast cancer cells, including resistant cells that enter a dormant state. In a series of studies in mice, the authors demonstrated that the activation of Notch signaling is directly associated with an increased recurrence rate of breast cancer. In this interview, we had the chance to talk with first author Daniel Abravanel about this research and his pathway to becoming an independent physician-scientist. Can you tell us a little bit about yourself and your journey so far? I am originally from Washington, DC. I went to Duke as an undergraduate, where I majored in biology, and from there I entered the MD/PhD program at Penn. I will be graduating shortly and starting an internal medicine residency at Brigham and Women’s Hospital. Subsequently I hope to complete a fellowship in hematology/oncology. Did you always know you wanted to do both an MD and PhD? My first real scientific experience was during high school. I had the great opportunity to spend multiple summers working in labs at the NIH, and I became very interested in biomedical science through that experience. As an undergraduate, I majored in biology and was initially considering going to graduate school. Before settling on this path, I followed the advice of one of my mentors at the NIH who had both MD and PhD training and took time to learn more about clinical medicine. Through this process, it became apparent to me that I found both biomedical science and clinical medicine fascinating. I was particularly impressed by the way that people who had training in both areas were able to combine them, addressing clinically relevant questions with strong basic science. How did you become motivated to pursue your particular project? While breast cancer recurrence is an important clinical problem, the underlying biology is not very well understood. As a result, I found the idea of harnessing a mouse model that recapitulates tumor progression, including recurrence, particularly enticing. It presents a powerful tool that allows us to explore the cellular and molecular mechanisms which regulate recurrence. Hopefully, if we can understand those mechanisms, then we can try to target them for therapeutic benefit. Which parts of the project did you find the most gratifying? While I don’t personally have much of a background in biostatistics or bioinformatics, we thought it was crucial to do our best to ensure that the pathways we studied in mice were relevant to human disease. So during this project I had the opportunity to collaborate closely with the members of our lab who specialize in these areas and to learn about methods to approach and analyze large clinical datasets. Not only did I find this process itself particularly enlightening, but through it we also obtained a compelling result that Notch signaling is associated with an increased risk of recurrence in women with breast cancer. In addition to collaboration, what other qualities made your project a success? I think our project was successful in the way that we started with an important clinical question and took advantage of the tools and methods available to us. By combining bioinformatics analysis of patient datasets with a preclinical mouse model, we were able to address a clinical problem in a mechanistic manner. And through this methodology, we were able to highlight important biology and suggest a potential new therapeutic approach to prevention of breast cancer recurrence. How would you recommend trainees get better at scientific communication? How has your Medical Scientist Training Program prepared you to become an independent investigator? PhDs, MDs, and physician-scientists all play important and complementary roles in biomedical science. Hopefully combined training puts people in a position to serve as a bridge between basic science and clinical medicine and to operate in this space where the science and medicine come together, with the tools to approach important clinical questions with rigorous science. How did you decide which medical specialty to pursue and how to complement your research interests? It’s funny, I actually just wrote about this in my residency applications. For me, it took a lot of exploring. At Penn, we have the opportuinity to start our core clinical rotations before the PhD phase. I think this helps add perspective to the PhD phase. We are also encouraged to take some time during the PhD phase to go back and explore our clinical interests. It can be hard to to take time away from the lab during the PhD, but I found it to be useful to do so. Personally I found both cancer biology and clinical oncology to be individually fascinating and rewarding. But for me, more importantly, my clinical experiences in oncology energized my research endeavors and vice versa. By the time we have our own labs, the field will have moved forward quite a bit. What do you think are the next hot topics in biomedicine? I think the answer that many people would give right now is immunotherapy. I was just at the AACR Annual Meeting here in Philadelphia, and immunotherapy was a major focus that everybody was excited about. I hope it will continue to be an exciting area and will continue to lead to novel therapeutic agents. It’s very hard to say where things will by the time those of us who are still in training have our own labs, but, personally, I think it is very important as a trainee to continue to look forward and to really stay aware of the opportunities around you. Do you have any advice for up-and-coming physician-scientists? Be open to the opportunities that are around you. We all have the privilege to attend outstanding institutions that present a plethora of opportunities, both on the clinical side and on the research side. Try as much as you can to tap into the expertise that is all around you, not just in your lab or your department but throughout the university. Find multiple mentors in different areas who can help you develop as a physician-scientist. 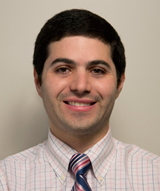 Daniel Abravanel is an MD/PhD candidate in the Perelman School of Medicine at the University of Pennsylvania. He completed his PhD thesis under Dr. Lewis Chodosh, MD, PhD, in the Department of Cancer Biology. After graduating this summer, he will be starting his internal medicine residency at Brigham and Women’s Hospital. Melissa Hector-Greene is an MD/PhD candidate in Molecular Cancer Biology at Duke University. She currently works in the laboratory of Dr. Gerard Blobe, where she studies the role of TGF-β signaling in tumor angiogenesis. She also serves as an editorial intern at the Journal of Clinical Investigation. She received her BA in biochemistry from Mount Holyoke College. Citation Information: J Clin Invest. 2015;125(6):2484-2496. https://doi.org/10.1172/JCI74883.